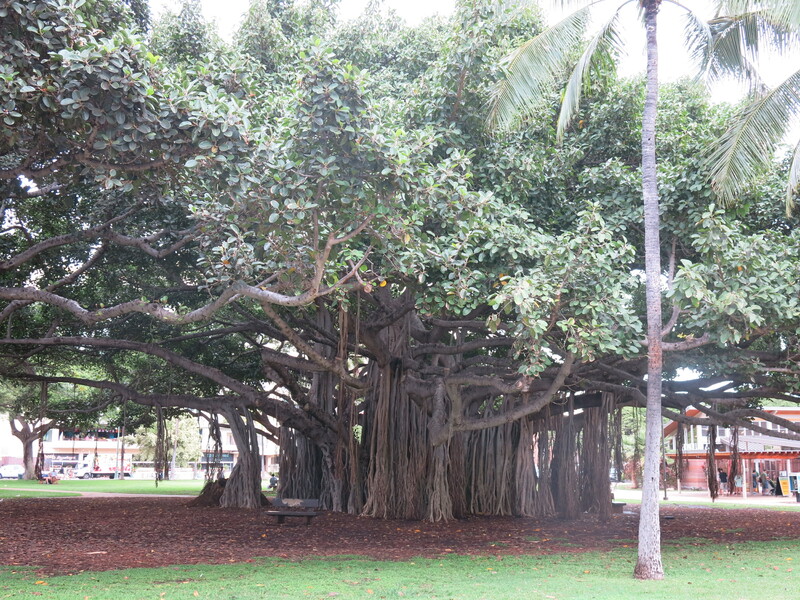 Oahu | So Many Exciting and Beautiful Places! We weren’t terribly ambitious today – didn’t wake up until 11 am (of course, that’s 6 am Cairns time.) My first goal was to do some laundry. We are staying in a condo through Hilton Grand Vacations, and I love having a kitchen, living room and laundry. 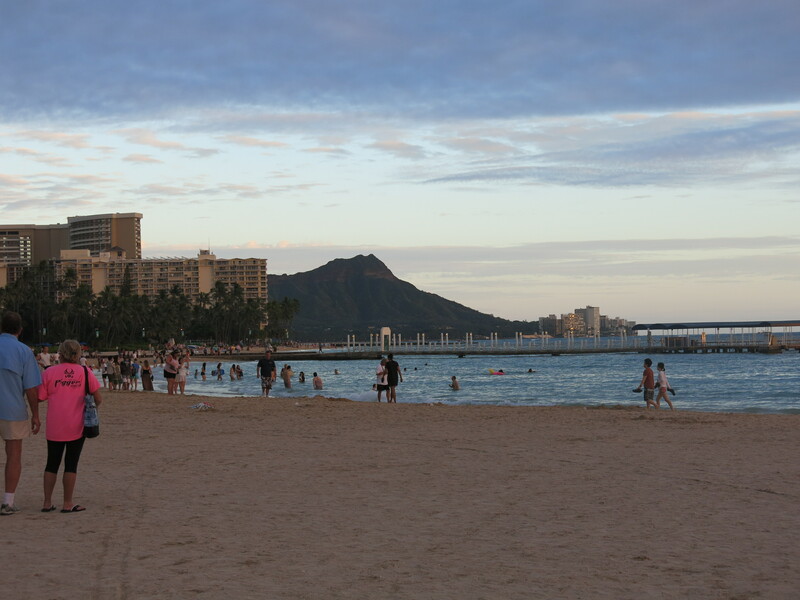 We are right in the middle of Waikiki, with a saltwater lagoon and easy access to the ocean. To my delight, there is also easy access to lots of shopping. We visited friends of ours, Marlin and Patty Boeckmann and their daughter, Annie, who live on the other side of the island. They purchased a home here about three years ago, and have been busy ever since with renovation projects. They have a beautiful view, overlooking the ocean. 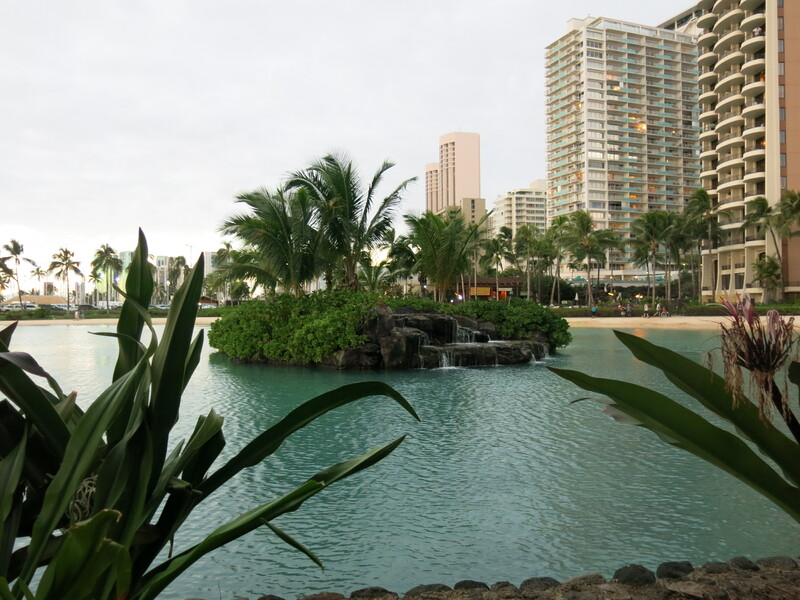 We walked a few miles along the beach to the Waikiki Aquarium. Along the way, we passed the statue of Duke Kahanamoku, who is considered the father of modern surfing. He also won medals for swimming in three different Olympics. He was the first person to be inducted into both the Surfing Hall of Fame and the Swimming Hall of Fame. 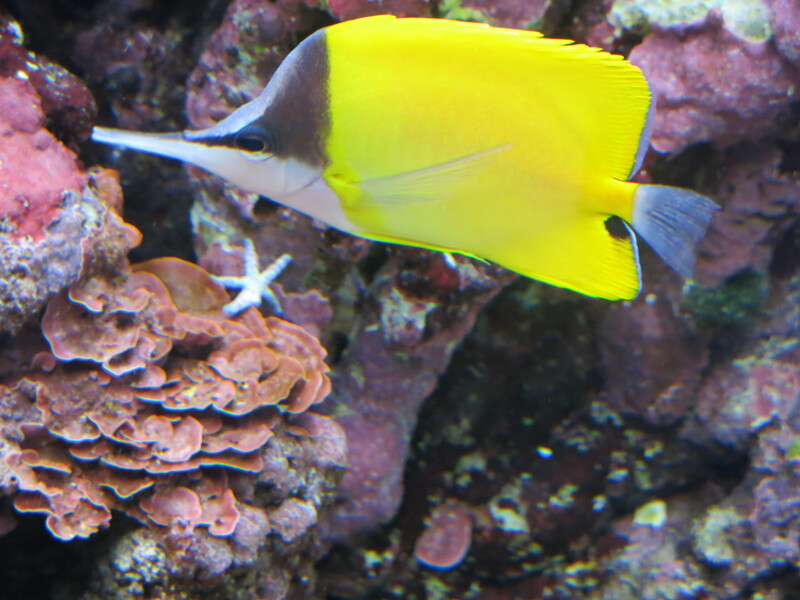 The aquarium wasn’t very large, but had some good displays of marine life that are native to Hawaii. 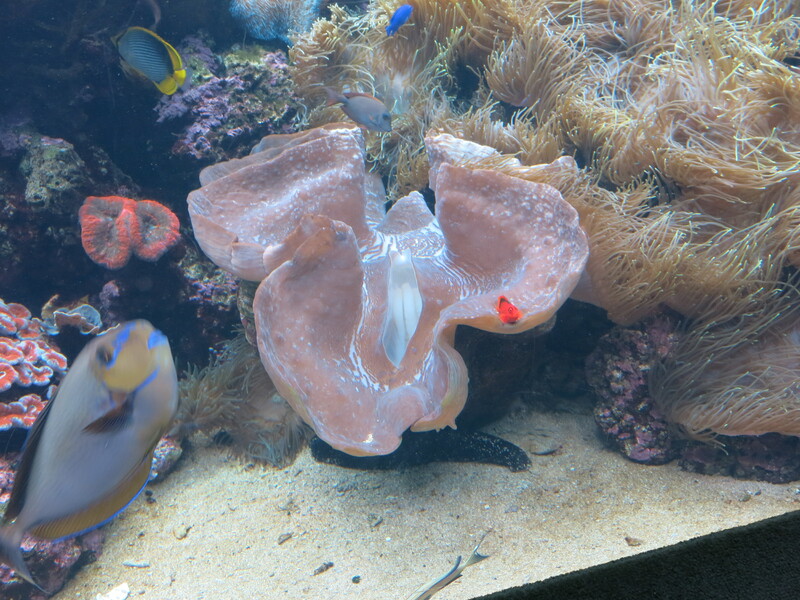 Also, they are working on creating coral reefs to help supplement our existing reef systems. 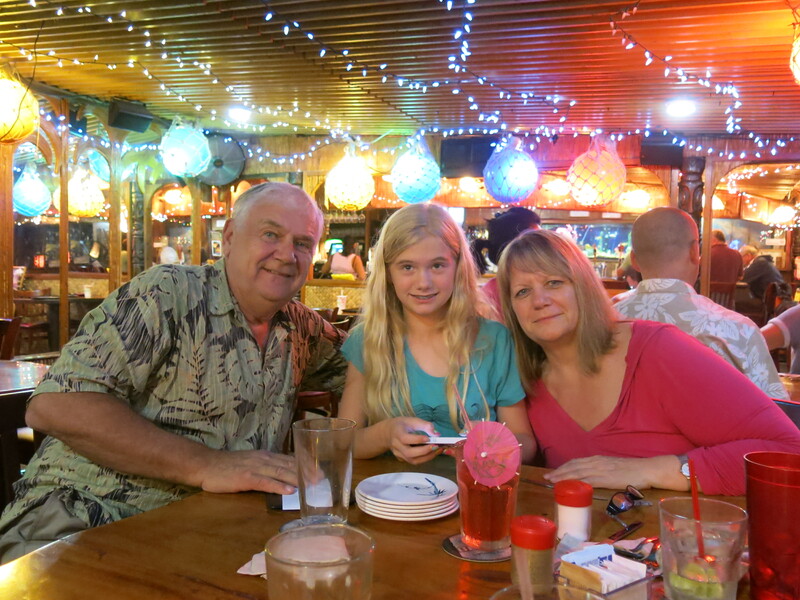 Had dinner tonight with the Boeckmanns at La Mariana Sailing Club, the only remaining tiki bar in Hawaii. It sits on the ocean front, and is a pretty popular place. The food was good, the drinks were strong. We loved the atmosphere. 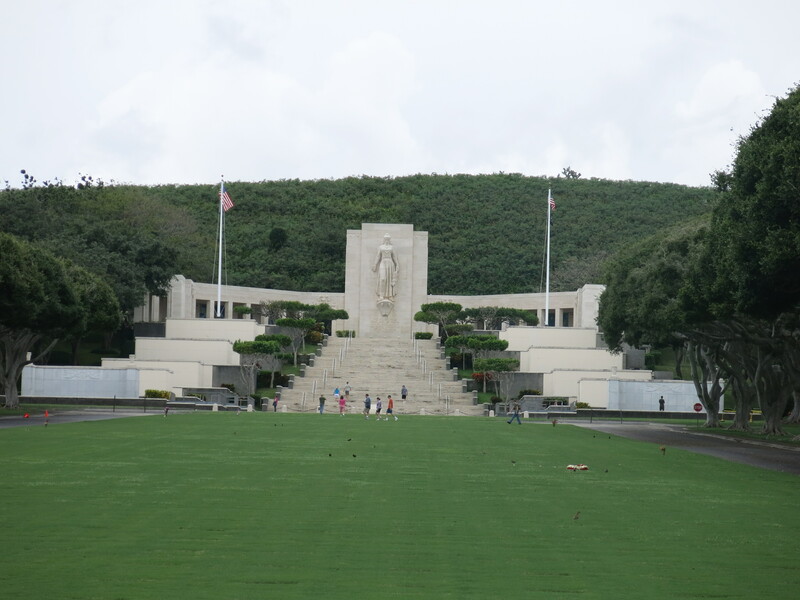 We did some exploring today, starting with the National Memorial Cemetery of the Pacific. 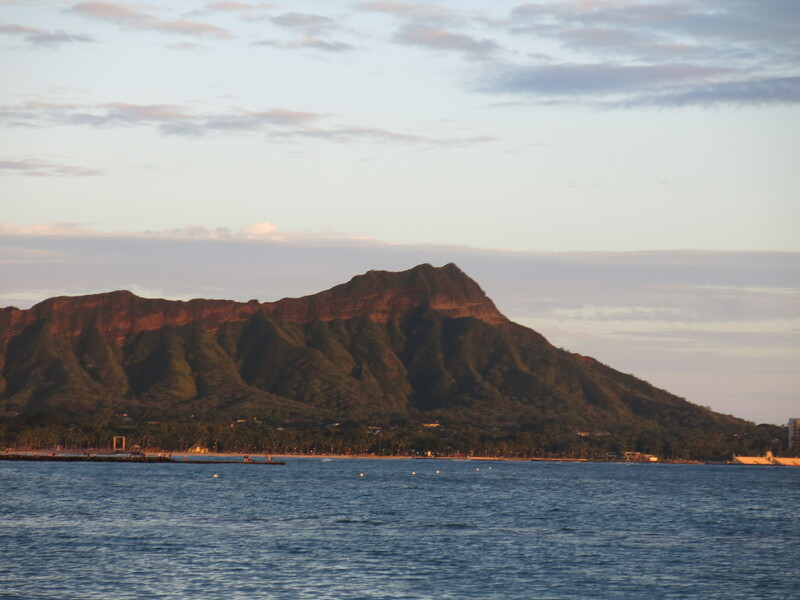 It’s located in the crater of an extinct volcano, known locally as “The Punchbowl,” because of the crater’s shape. Almost 30,000 missing military are commemorated here, from WWII, the Korean War and Vietnam. The grounds are truly beautiful and the views from there are as well. We did some driving along the coast, and were fortunate enough to see some whales breaching in the distance. Next stop was the US Army Museum of Hawaii, which details the military history of Hawaii from ancient times to the Vietnam War. 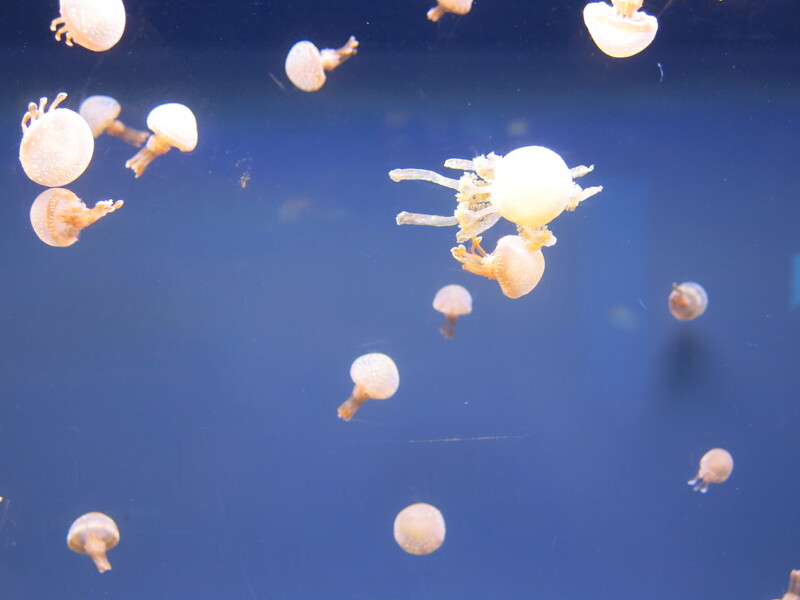 This is rainy season in Hawaii, and it’s rained every day, but not all day, and it’s a warm rain, so we don’t mind. 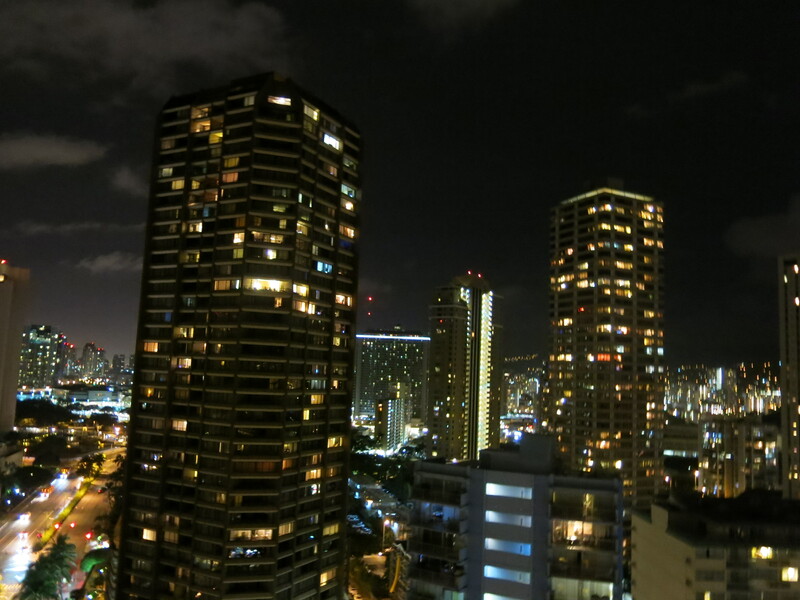 We’ve enjoyed our time in Waikiki, but tomorrow morning, we leave for home. It’ll be good to be home after a month of traveling. 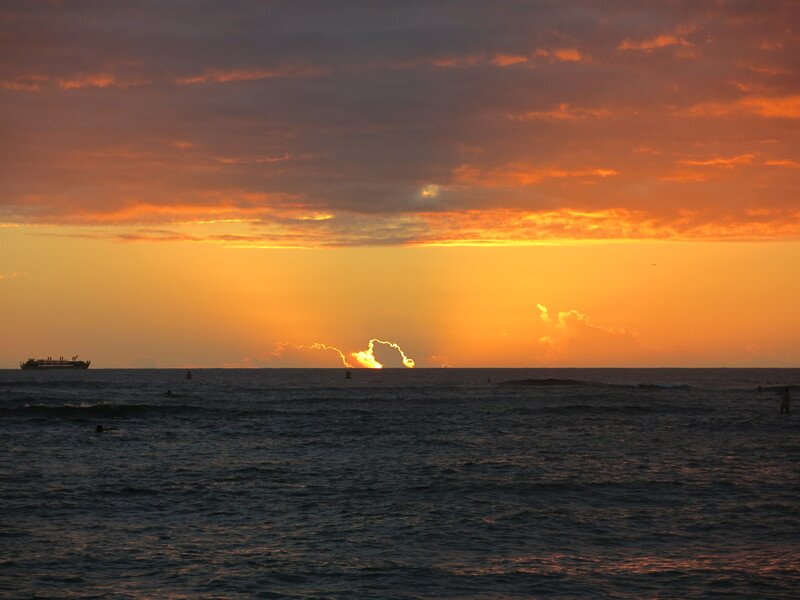 This entry was posted in Hawaii Travel. Bookmark the permalink.